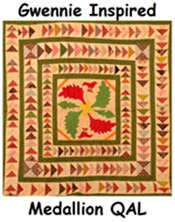 At the moment there seems to be a flurry of string quilts, which are so much fun to make. A few years ago four of us were invited to another friends little beach cottage for a weekend of sewing. The plan was for each of us to make a string quilt, sharing each others strips. My quilt was made with really large blocks, and I was going to use some old calico ( quite thin after years of being curtains) as my backing instead of paper, but then found it would make the quilt too heavy, so used a light weight sew-on vylene. We all arrived with our "strings" dumped them in the middle of the room and started sewing. The cottage is very tiny, so with 5 of us sewing on our tables, and stepping around all our fabric it was a tight squeeze. As you can see we made a pathway to walk through. Back of the blocks stitched onto vylene. 16 blocks together. 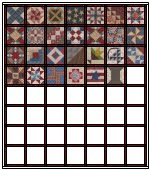 Each block after trimming and sewing measures 16 3/4". A funny size, but that was the average of all. Its still at this stage, as I'm not sure about batting and machine quilting, but I think I may use a light weight pellon. Another day a few years earlier sewing a string quilt for a grand-daughter. The interest in string quilts and in particular Humble quilts has got me itching to start another one. I love your granddaughters quilt & the yellow in your other one really pops, that's neat. You girls sure made your tight conditions work. 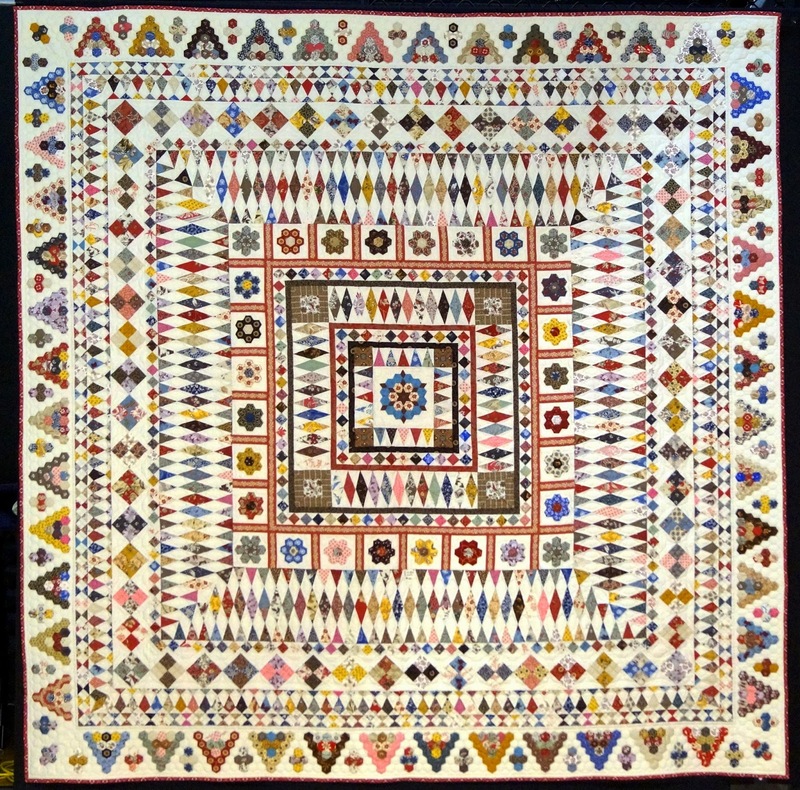 I shall read up about Humble Quilts next. Thanks for sharing Sue! 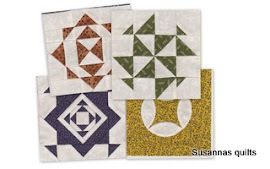 Fun string quilt patterns. I love the photo of the strings taking over the cottage. It's exactly what happens. Last fall I had decided I was going to concentrate on sewing up my box of 1-1/2" strings. I had no idea that so many other people were going to string along until I started seeing all the string posts on other blogs. 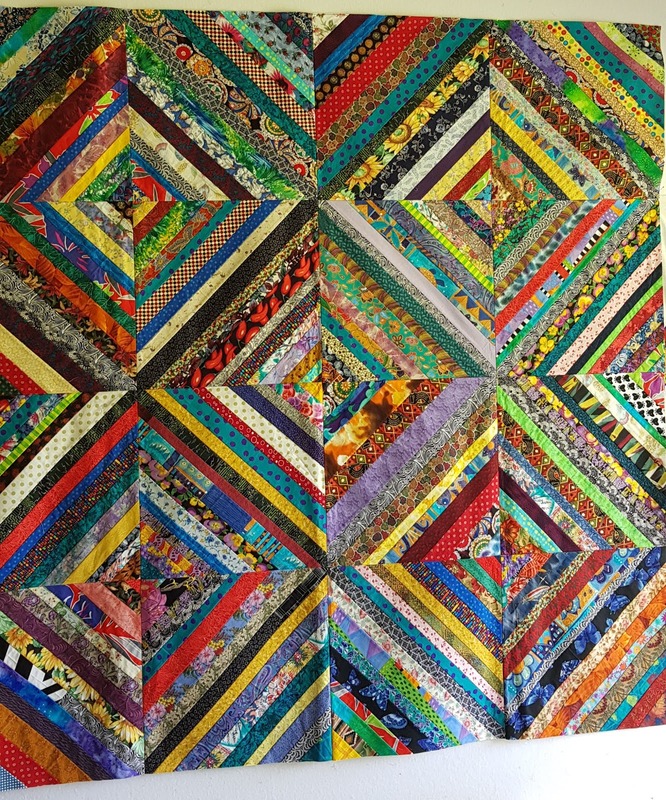 You've made some lovely string quilts, I'm sure you have plenty of fabric to make more. Happy stitching! What a fun sewing at the beach party! Now if I could just round up a few friends who sew... LOL. Your string quilts are wonderful, so happy and vibrant. lizzy at gone to the beach..
Love string quilts, in a way it is mindless sewing but such fun to see what evolves from all the strings. I have a stack of strings just waiting for me to start on them. You're definitely on a roll with your strings - beautiful! I've always used vilene for string piecing, couldn't face all the paper ripping! The best way to sew strings is with a group - so much more variety. And the hearts one for your granddaughter is very clever.